Over the past couple of years, we have seen a steady increase in nonprofits and community groups coming together to fight systemic underfunding at the provincial level in Quebec, including a letter-writing campaign and series of occupations over this week and next. 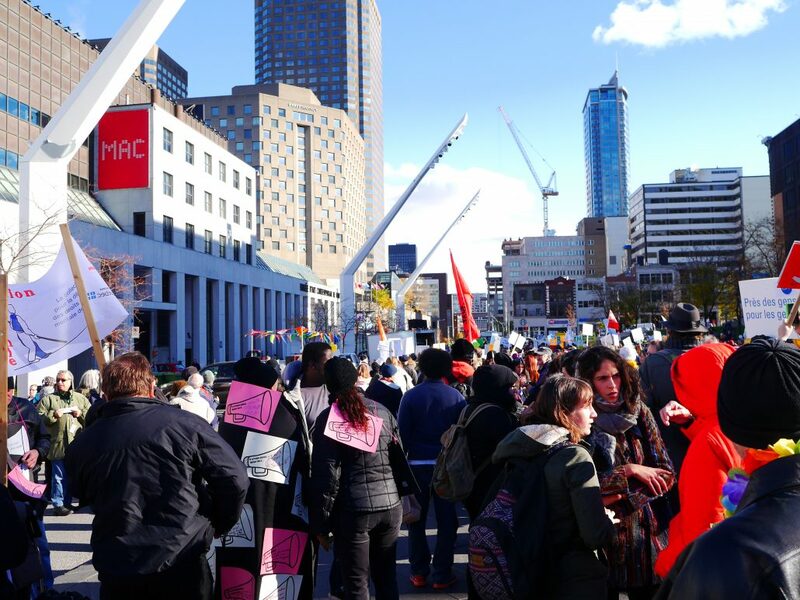 This kind of mobilization is unprecedented in Quebec and unique in the North American context. Whether these actions will be fruitful has yet to be seen, but COCo has been following these developments eagerly. One of the exciting parts of this new wave of mobilization is an increased unity among different kinds of community organizations— across sectors, regions, languages, and funding sources. Past debates about the well-being of the non-profit sector in Quebec have focussed almost entirely on organizations whose ‘core’ funding is being cut by the province. While COCo falls into that category, many of the organizations we work with do not. In our experience and based on our research, organizations based in immigrant communities, communities of colour, and/or organizations functioning primarily in languages other than French have less access to government funding. While these organizations serve some of Quebec’s most vulnerable populations, they are often ignored or unseen not only by the government but also by other, more established and recognized not-for-profits. As the scale and diversity of the mobilization grows, how can we continue to ensure that these voices and experiences are seen and heard? Starting this week, organizations are sending letters to the Minister of Finance to push the message that playing with the funding of community groups is playing with people’s lives. The Monopoly themed campaign culminates on February 7th with two occupations, in Quebec and Montreal respectively. The monopoly themed cards, promotional material and information on registering to participate in the occupation can be found here. Share your letters on Twitter and Facebook- we will be sharing ours!